like these you need a best friend who doesn't think you're going crazy! 20% -- Art and scripting are well on their way. Story is finalised. Introduction is blocked out. First third of the game is completable. First few cutscenes are complete. A spooky corner of the campus. Radial menu for extra actions. Great artwork both in the background (lovely colours!) 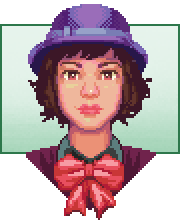 and the portrait (that hat ^_^) departments, and the premise sounds fun! Best of luck getting this thing done! Looks interesting, and the artwork is lovely! Holy heck! Graphically and in terms of setting, that looks eerily like a game I was working on, only quite a bit better. Actually, it's probably more accurate to say it looks a lot like the way I intended my game to look. Very nice-looking graphics, for sure (though the curved perspective distortion in the first screen, presumably intended for use in a "camera tilt"-type pan down, looks pretty odd). Reminds me a bit of Nightshade's art: slightly lilac/pastel color scheme, similar "smooth" brushwork creating texture with very little noise. The story sounds fun. 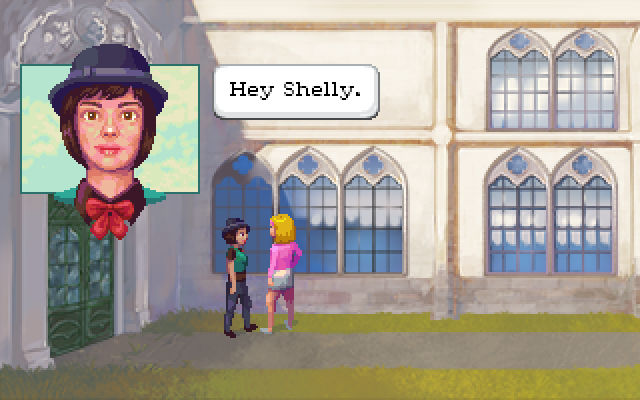 Love games with multiple playable characters, and I've always thought a university is a good setting for an adventure game. The retro fashions are neat as well; is it set in a particular era (80s, I guess – I could have sworn the bowler hat outfit is from a movie, but can't quite place it) or is it just stylistic? Thank you! It's amazing to get feedback like this! 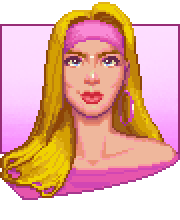 The hat and all of the outfits are kind of pseudo 80s/90s fashion. I'm not locking it down to a specific decade, but it's pre- mobile phones. I haven't seen this game you were working on, Snarky. Was it ever announced? I remember seeing a shot from it somewhere (Critics' Lounge, probably? ), and it was the first thing that came to my mind when I saw the screenshots for this, actually! Not that they are too similar, but it's a fun connection. One of those "great minds think alike" situations! It was a long time since I came across a game that makes me jump out of my chair like this. Oh damn! June 2015 is too far away! Can't you do it faster? Yeah, I don't want to derail the thread, but no, it was not officially announced, and yes there were a few threads in the Critics' Lounge. Consider it canceled. You had me at "campy", Gurok! Looks really nice, and the plot sounds interesting and original. Hurry up! Ghost needs games badly! Thanks, Ghost! Hope you can get back to Spring Break someday. AprilSkies, thank you for the lovely comments too! I haven't posted in a while, so I thought I'd update to fill everybody in on what's been happening. The past month and a half have been spent working on door interactions, cameras, mapping out hotspots, squishing bugs and blocking out the intro. What do I mean by blocking out? Well, it's very professional. Far more professional than what I'd normally do. We've got storyboards and animation roughs and the whole intro has been laid out with placeholders so we can get the timing right. I've been working on the progress system and internal stats that track how much you use either character. The progress system will double as a system for displaying game credits, which is handy. Right now, I'm focusing on the 9 rooms that have complete art. I'm also checking in occasionally on how the next 3 are being painted. Oh, and of course, submitting pull requests for AGS! 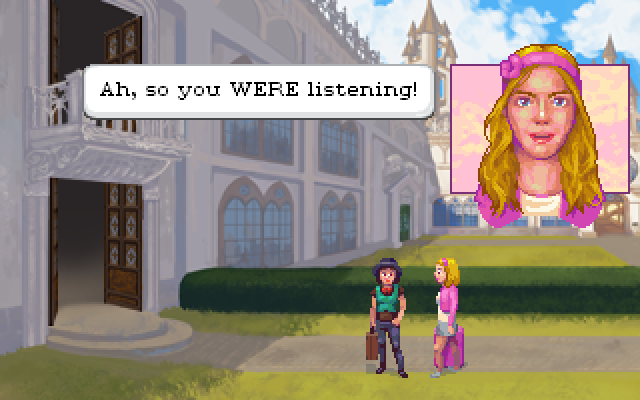 A lot of the next few days will be spent filling in examine interactions around the campus and perhaps working on the first puzzle. Exciting times! ALSO! I've taken a month off my day job to work on the game, so expect another update at the end of the month. So there's a puzzle that could be solved with a simple mobile phone, but we don't have these available in the game, huh? Looking good Gyrok! Very very good! Oh man, this looks awesome! Wow...I love everything about this! Graphics, setting, storyline, characters...looks & sounds amazing! I can't wait to play this game! Looks very nice. Nikolas, nice try, but I'm not giving any details away about puzzles. I think the lack of modern conveniences will lead to greater variety in the puzzles. You won't just be able to search for clues/answers using your phone. Wow, thanks for the words of encouragement, SarahLiz, Adeel, ThreeOhFour and Nikolas! We're really motivated by the praise. Going to try to live up to those expectations. Surprise, surprise, I got less done than I'd hoped this month. I restructured a lot of the code so that my GlobalScript is now just a series of stubs. I think this is the nicest way to organise things. We've got sounds! Hooo boy have we got sounds. Everything makes noises. The doors, footsteps... well, that's it for now. But the footsteps are in stereo, which sounds really nifty. I also have a few music demos from an (as of yet) unnamed contributor. I've been giving those a listen and they sound very promising. 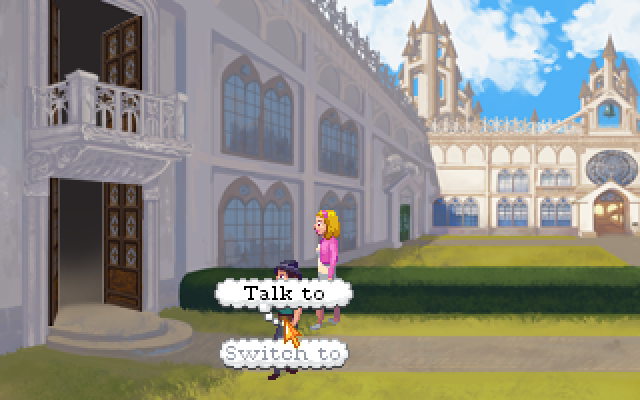 The game is divided into a series of quests that you can track through a Progress dialogue box. They work in a similar way to achievements, but consist of several points each and contribute to an overall score (e.g. 4/5 + 3/5 = 8/10 total score). 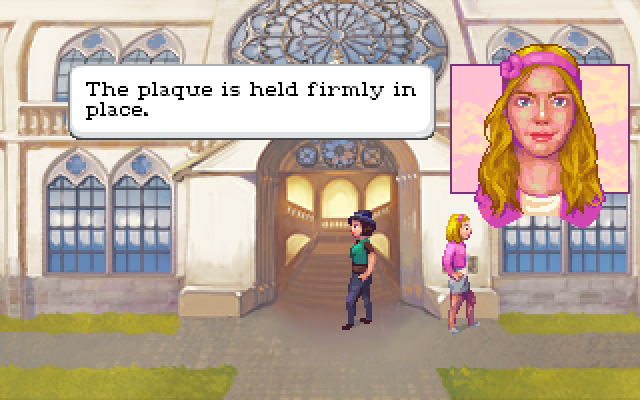 As noted above, the first quest is playable, but it still needs some work to flesh out descriptions. Plus, it's only really completable for one of the two characters right now (gotta' fix that). We're really close to getting 2 more rooms in. Once I get those, I'll start fleshing out the next scene. 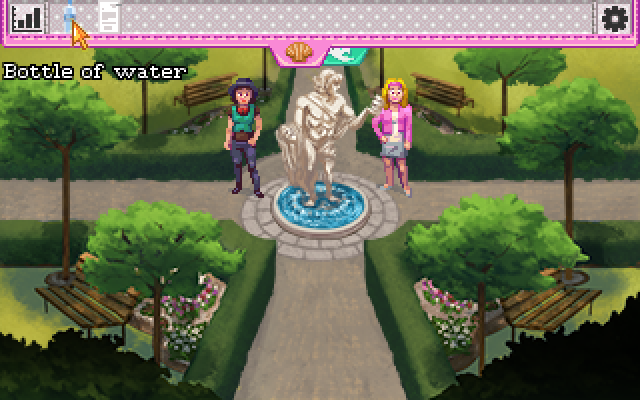 For now, I'm going to focus on building backstory, hotspot descriptions and fleshing out the first quest more. Flesh. I might wait a couple of months before giving the next production update. There wasn't really that much to report on this month :/. Things are going well though, and I'm still really motivated and genuinely happy with how things are working out! Until next time! Best of luck, Gurok. It's good to know that you're still really motivated. Don't lose it, ever. Hello all, it's November and I'm still working on this cursed game! The direction of the story has changed a bit. I spent a long time wrestling with how to end the story. I have finally, finally planned out the last puzzle in the game and I believe I have a satisfying conclusion to the whole game. Unfortunately, there's not really much horror happening anymore. It's become more of a mystery/thriller and I don't think there'll be much blood. I hope nobody minds. The total number of rooms has gone down from 35->33. This is partially due to streamlining. It's also the result of me planning out the end game properly and deciding they really weren't necessary. Finally, I'm going to have to push the release date back from June, 2015 -> June, 2016. 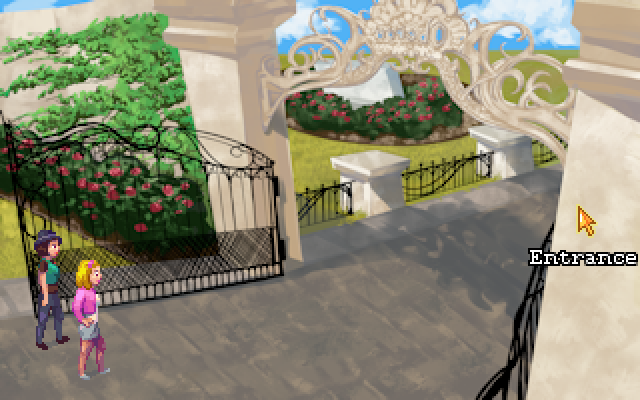 The way things are going, the backgrounds won't even be fully painted by the end of this year. It's sad, but as is the case with 99% of game projects, I underestimated the time required to make it. Those portraits are lovely! Nice work. I can sympathise greatly with having to push back the release date... had to do that too many times myself. It's sad, but not disheartening. It seems like it's impossible to gauge the finish line from the beginning. Perhaps as you get closer to the end, the estimates become more accurate. I don't know. I don't remember the last release dates you quoted, but I hope you get the finishing touches done on Captain Disaster Act III & Troll Song Chapter I soon.